The University of Amsterdam Business School, the academic partner of the Speedup Europe project consortium starts a series of studies to support the Speedup Europe project. The studies include research into Entrepreneurial Teams Performance, The Entrepreneurial Ecosystems created by the Speedup Europe project, Trust in Crowdfunding – platform and donators perspectives and Use of Social Media (Facebook, Twitter, Linkein), to support crowdfinding projects. Some of these projects will be done in collaboration with the Crowdfunding Hub – the Dutch industry partner in the Speedup Europe project consortium. The studies will be done in cooperation with the Speedup Europe consortium partners and the team that are awarded the Speedup Europe grant. The results of the study will be published as reports and articles and will be available to the consortium partners and the startup teams, contributing to the success of the Speedup Europe project. STING – our Swedish participant ! STING’s vision is to be the best incubator in the world by attracting the best innovators and entrepreneurs, and by contributing clear value to successfully build and develop the high-growth companies of the future. STING supports promising Stockholm-based startups, primarily within ICT, internet/media, cleantech and life science. We evaluate 150-200 projects annually, but based on a tough screening process we accept only 20 companies per year to our incubator and accelerator programs. STING is the Swedish partner of SpeedUP! Europe and is responsible to arrange events and ensured a flow of applications to the project. STING is also a resource for the Swedish project teams selected to receive business coaching, host them in the Stockholm hub, and will support the SpeedUP! Europe entrepreneurs to identify EU funding. Linda Krondahl, CEO at THINGS Stockholm, Amelie Furborg, Country Manager, Speed UP! Europe Stockholm and Pär Hedberg, CEO at STING – ready to welcome the Swedish Speed UP! Europe teams at the brand new coworking space THINGS. Speed UP! Europe wird in 2015 bis zu 100 Teams in den Themenclustern AgriFood, CleanEnergy oder SmartCities bei der Entwicklung, Evaluierung und Umsetzung einer Geschäftsidee, Aufbau eines Prototyps bis hin zum Markteintritt und Finanzierung begleiten. Die Initiatoren von Speed UP! Europe in Hamburg sind Stefan Stengel und Olaf-Gerd Gemein, als einer von europaweit 16 Accelerators, die 2015 insgesamt 1200 Teams finanzieren, coachen und begleiten werden. 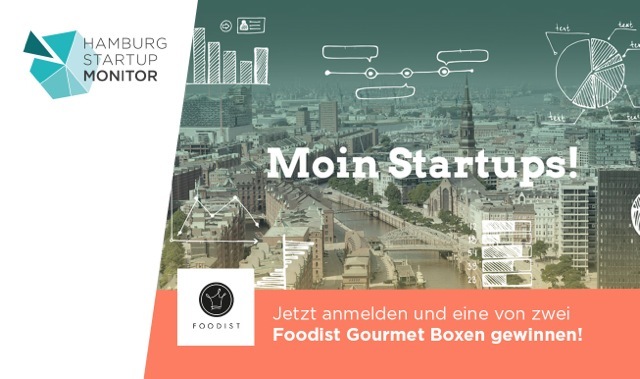 Damit ist dieses Programm das größte jemals gestartete StartUP Förderprogramm!